In a letter to his friend Oskar Pollak, Franz Kafka (1883-1924) once wrote: "I believe we should only read books that bite and sting. If a book we’re reading doesn’t wake us up with a punch on the head, what are we reading it for?" That punch on the head, that wake-up call, was a defining element in 20th century art. 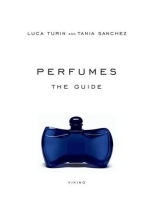 In Perfumes: The Guide, authors Luca Turin and Tania Sanchez describe their favorite perfumes in similar terms: a great composition takes you by surprise, exceeds your expectations, blows you away. Some people, of course, can't fathom why perfumes are worthy of serious consideration in the first place, let alone why they should be reviewed in a book. I'd recommend those naysayers to pick up a copy of Perfumes: The Guide, and read the short preliminary essays where the authors share their views on perfume aesthetics and criticism. In clear and simple words they explain why perfume is an art, why the industry should take consumers more seriously, and how a guide with unabashed opinions fits into all of this. I found them well worth reading, and worthy of a little reflection here too. I figure there's been enough talk about the reviews. There are a couple of practical drawbacks to perfume as an object of study: smell is a fleeting experience, it requires physical proximity, and you can't reproduce it by any other means (see Constance Classen and Diane Ackerman for more on that). There's also a preservation problem with perfumes, and constant issues with unannounced reformulations. But these are just minor obstacles compared to the "hoary, unbroken tradition of self-defeating behavior" of the perfume industry, as described by Sanchez in her Introduction to Perfume Criticism. While online forums, blogs, and marketplaces have made perfume culture more accessible to the masses in recent years, the industry safely keeps its distance. Companies are reluctant to see their products being reviewed, and continue to rely on meaningless marketing blurbs for the promotion of their work. Is it a simple case of cold feet? According to the authors of Perfumes: The Guide, it's time for perfume companies to relax that rigid control, and to understand the benefits of honest and unbiased criticism. I fully agree, and I'll add a quick thought of my own: there are plenty of perfumes on the market today that don't hold well beyond their top notes; some actually fall apart completely. If they sell well, it's because their customers are deceived by first impressions. Let's educate the public, and get rid of those lemons; saving on product quality is a lousy business strategy anyway. The industry should try to change the tide while it's still possible. (End of rant.) On the other end of the spectrum, there are perfumes that stand out in a positive way. As Sanchez puts it, "some express their ideas seamlessly and eloquently from top to bottom and give a beautiful view from every angle". Those fine products obviously deserve to be brought to the attention of a larger audience, just like a great book or a wonderful movie. Perfumes: The Guide celebrates the pleasure of wearing fragrances, without being fussy about aesthetics, subjectivity, or critical judgment. Contrary to Kafka's view on books, Turin and Sanchez remind us to simply enjoy our perfumes, whether they're rated as masterpieces or not: "The fact is that this stuff is worth loving. As with the tawdriest pop melody, there is a base pleasure in perfume, in just about any perfume, [...] that is better than no perfume at all. It decorates the day. It makes you feel as if the colors in the air have changed. It's a substitute for having an orchestra follow you about playing the theme song of your choice". That reminds me... Can Can, anyone? More information on the authors and their work can be found in part 1 of the Q&A with Luca Turin and Tania Sanchez. Update: the book will be kept up-to-date with a series of quarterly newsletters; see the details here. hi, where can I download the free Excel file of the Perfume Guide? Hi W_G, the following link redirects you to the Excel sheet on perfumestheguide.com: http://tinyurl.com/nzdjc4. I think this is what you’re looking for? Sorry, I don’t know of a pdf version. I want to read the description of Luca Turin for L’instant de guerlain pour homme EDT version and the EDP (eau extreme) version. Can you help me please, I love this perfume and i want to have more informations about it. This book and the updated, ‘Perfumes The A to Z Guide’ are my bibles! It’s a fun read as Luca and Tania don’t hold back, if they hate something you know it! I downloaded the Excel file, and the descriptions definitely piqued my interest. Some of them cracked me up.. one scent’s description was “crap amber”. I read what little of the 2007 edition is available on Google Books, and I’m hooked. I have to get this book now.